Were you inspired by the recent USA Pro Cycling Challenge in Colorado? I was! To that point, I got on a bike last month and rode to the base of Bachelor Butte here in Bend, Ore., my home town. It was a 50-mile trip up Cascade Lakes Highway with much gain and screaming descents through the mountains. And though it was not exactly “Pro Cycling Challenge”-level, the ride allowed me to have at least a good time pretending. My bike, the Dolce Comp Compact from Specialized, though also not quite pro-level, felt the part on Cascade Lakes Highway’s twists and climbs. Pedaling for hours on the Dolce was great exercise, it goes without saying. 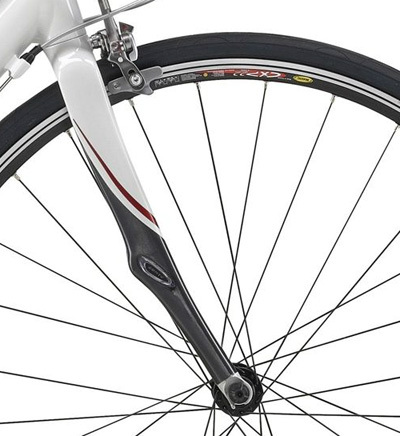 But the bike also was a serious meditation tool for me — there was so little road noise because of the bike’s carbon seatstays and carbon fork (both absorb road vibration) that I could zone out and just “float” on the ride. A women’s-specific frame with a larger diameter downtube and curved seatstays put me in a comfortable position. The frame is aluminum, but the seatstays and fork are carbon, providing the smooth ride I noted before. There are special components in the carbon, called Zertz Inserts, that are made to further absorb road vibrations. Smaller size handlebars come stock, and they felt sleek and “glove-like” for me. 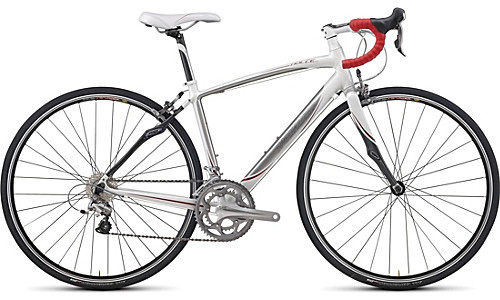 Many road bikes, I find, have larger handlebars with difficult-to-reach brakes. Not so with the Dolce Comp. The saddle, Specialized’s Riva model, was comfortable out of the box. After my first three hours of riding, my tush was still happy and pain free. Overall, I had a blast on this bike. 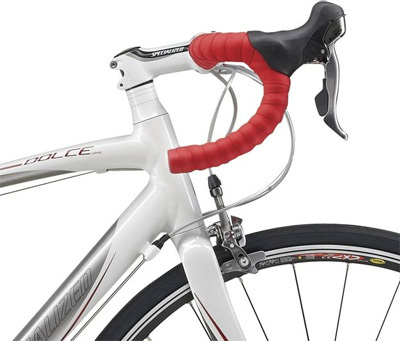 For serious roadies, the Dolce Comp Compact will be seen as a “starter” bike. It costs about $1,800 built and it leans more “recreation” versus “competition.” It is made for riders, like me, who need a comfortable and easy-to-handle bike that can also kill it when the terrain shouts out. Perfect for me this summer on the Cascade Lakes Highway and beyond. —Chelsey Magness is a member of Team GearJunkie/YogaSlackers.